Nearly 1,000 homeless people congregated at the San Diego Concourse on Wednesday for the 12th Project Homeless Connect-Downtown San Diego resource fair. Participants had access to dozens of resources and services such as optometry, job placement, housing assistance, flu shots and veterinary care for their pets. 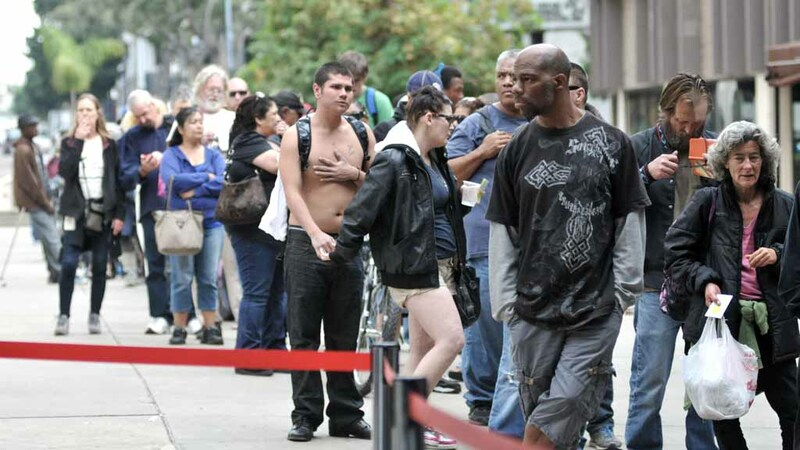 “With 10,000 Homeless San Diegans on any given night, everybody has a different range of needs. Not everybody needs that one haircut or that one dental screening. So people are able to come in here and pick and choose the services they need, under one roof,” said City Councilman Chris Ward. Attendees also received donated blankets, hygiene kits, clothing and shoes. They were assisted by more than 400 volunteers, according to the San Diego Housing Commission, which organized the event.